Uh-oh a new addiction has arrived! Get ready to roll back the years with Jurlique Herbal Recovery Anti-Oxidant Gel Mask, to intensely nourish your complexion and then exfoliate the mask away to reveal renewed radiant skin. 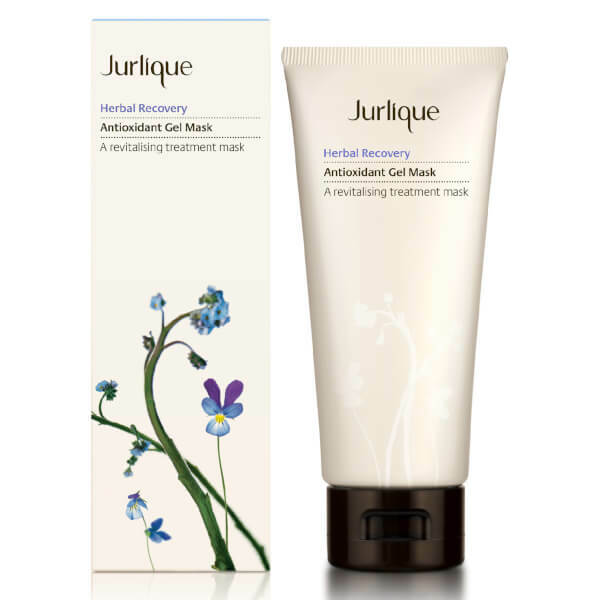 Jurlique Herbal Recovery Anti-Oxidant Gel Mask is the premium method to revitalise and rejuvenate your complexion in one easy application. While the mask sets the formulations settle deep into the pores, and then rinsing away works to effectively exfoliate and sweep away dead skin cells, revealing soft, supple and youthful skin beneath. Apply a generous layer to the surface of the skin, allow ten minutes to set and rinse away gently with luke warm water and a soft flannel. Water/ Aqua/Eau, Glycerin, Saccharide Isomerate, Foeniculum Vulgare (Fennel) Seed Extract, Mannitol, Cellulose, Hydroxypropyl Methycellulose, Tocopheryl Acetate, Xanthan Gum, Microcrystalline Cellulose, Cellulose Gum, Carageenan, Glucose, Salix Nigra (Willow) Extract, Sambucus Nigra Flower Extract, Viola Tricolor Extract, Viola Odorata Extract, Glycyrrhiza Glabra (Licorice) Root Extract, Rosa Gallica Flower Extract, Chamomilla Recutita (Matricaria) Flower Extract, SD Alcohol 40-A, Cassia Angustifolia Seed Polysaccharide, Dehydroacetic Acid, Sea Salt, Ascorbic Acid, Benzyl Alcohol, Phenoxyethanol, Rose Flower Oil, Citronellol, Geraniol, Linalool, Eugenol, Limonene.